Saturday, December 15th marks Rail Runner’s Sixth Annual Santa’s Village at the Santa Fe Railyard from 10:00 AM – 3:00 PM. This free, family-friendly event will feature games, crafts, interactive displays, mini-train rides, and, of course, pictures with Santa! Visitors from south of Santa Fe are encouraged to take the Rail Runner. There will be one additional northbound and one additional southbound train for the event. View the special schedule at nmrarilrunner.com. 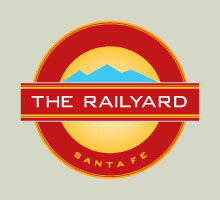 Take the Rail Runner to the Santa Fe Depot or meet us at the Santa Fe Railyard. Regular train fares apply. Children 9 and under always ride free!